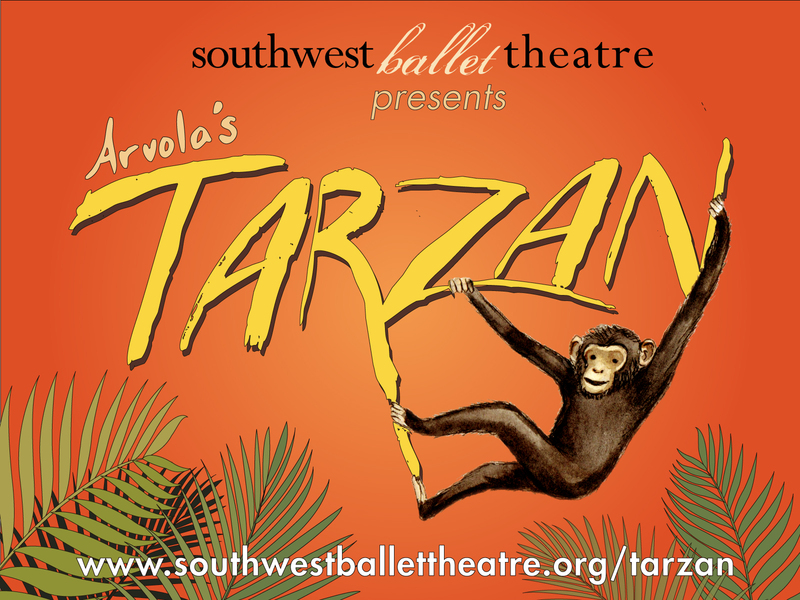 Southwest Ballet Theater presents "Tarzan"
March 7, 2017 (Avondale, AZ) – The opening of the new 30,000 square-foot Performing Arts Center (PAC) at EMCC has allowed the campus to broaden its roster of entertaining and informational programs. Both student performers and invited guests use this beautiful new facility to present arts-oriented performances that dazzle, delight, inspire, and generate thought and conversation. In March, some highlights include a performance by the West Valley Community Band on the 9th and EMCC movie night on the 24th. For the latter, guests will enjoy the beautiful spring weather as they gather on the PAC’s lush lawn to enjoy a to-be-determined film. April’s calendar is loaded with performances. The Trio Salado Jazz Ensemble kicks off the month with a performance on April 1. The local jazz ensemble formed in Tempe in 2012 to perform originals and standards. April 6-8, TheatrEstrella presents Love and Information. The play is comprised of 7 sections, each having scenes of different lengths. The show explores human connections in the modern age. DancEstrella showcases its moves in Our Family Tree April 28-29. May includes a visit from the Southwest Ballet Theater, who visits with a production of Tarzan. The local dance company features Guest choreographer Soili Arvola united with the local dance company to bring her version of the classic story to life through a unique performance. EMCC’s own Community Choir & Voice group performs on May 9. Some of the other spring highlights include the Community Musical Showcase on April 22, the EMCC Student Dance Showcase on April 25, and the EMCC Storytelling Slam on April 26. EMCC is excited that this new Performing Arts Center is a hub for creative activity. The multifaceted venue includes individualized learning areas, a dedicated Black Box Theater, a Dance Studio, a Media Technical Laboratory, a Costume Shop, and a Music Studio, all in addition to the Main Theater. Visit http://www.estrellamountain.edu/arts/events for details and a complete schedule of performances, show times, and ticket information.